Heart Shaped for Valentine's Day! 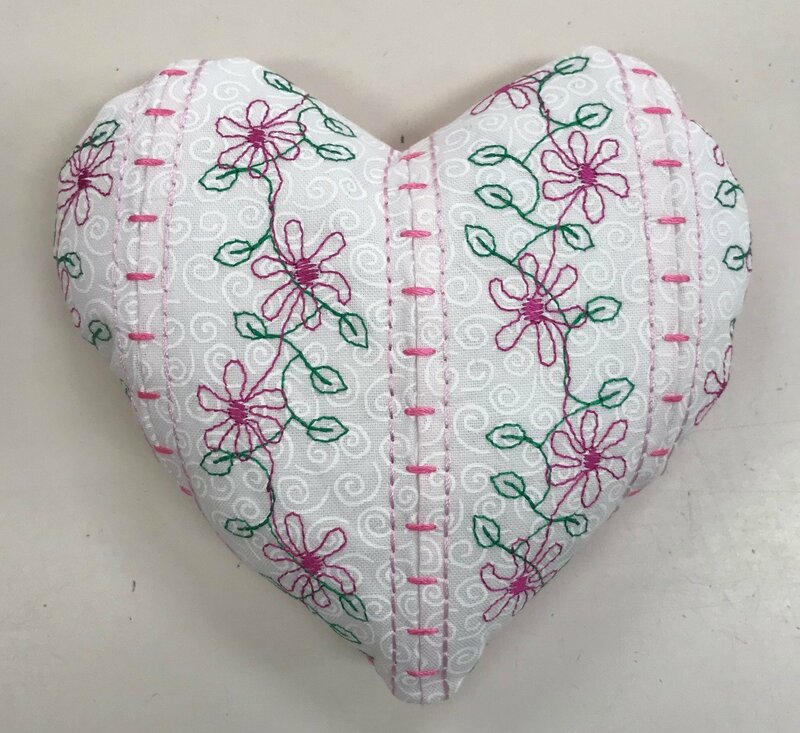 Use the absolutely gorgeous stacking stitches combined with floating stitches to make this fun heart pincushion. We have a few machines we can loan if your machine does not have these stitches.